We're excited to announce that Eicoff's Bill McCabe will be joining in and speaking at the 2017 &Then DMA event. 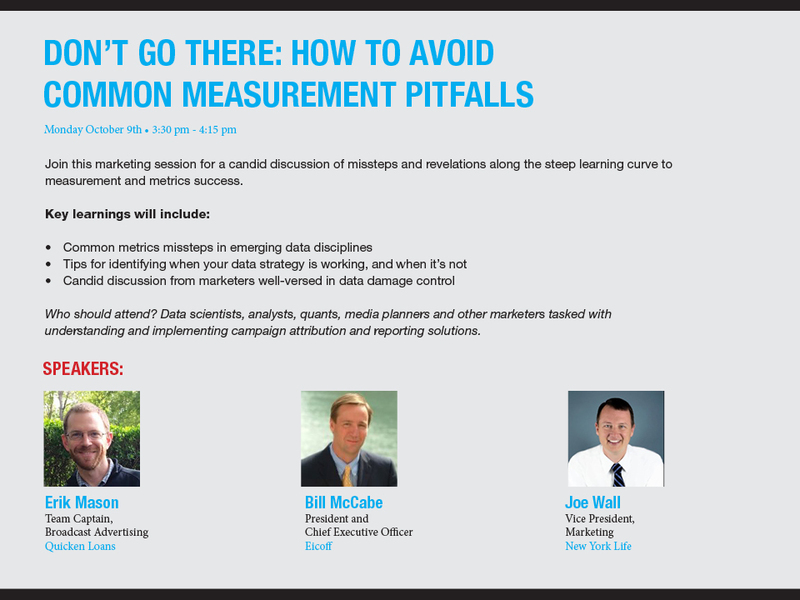 This year's conference focuses on the mastery of data and marketing. It takes place October 8th to 10th in the wonderful city of New Orleans. And it features some of the top names in marketing today. The event offers a terrific way to learn best practices, gain real-life insights and meet with like-minded people. If you're interested in attending, click here. Or if you plan on being there and would like to grab a beignet, a cup of Cafe Du Monde coffee or some good ole gumbo with Bill McCabe, reach out to him at: bill.mccabe@eicoff.com or 312.560.4420. Here's a look at the panel on which Bill, Erik Mason and Joe Wall, will be speaking. It's one of the many interesting topics that you'll find at this year's event.